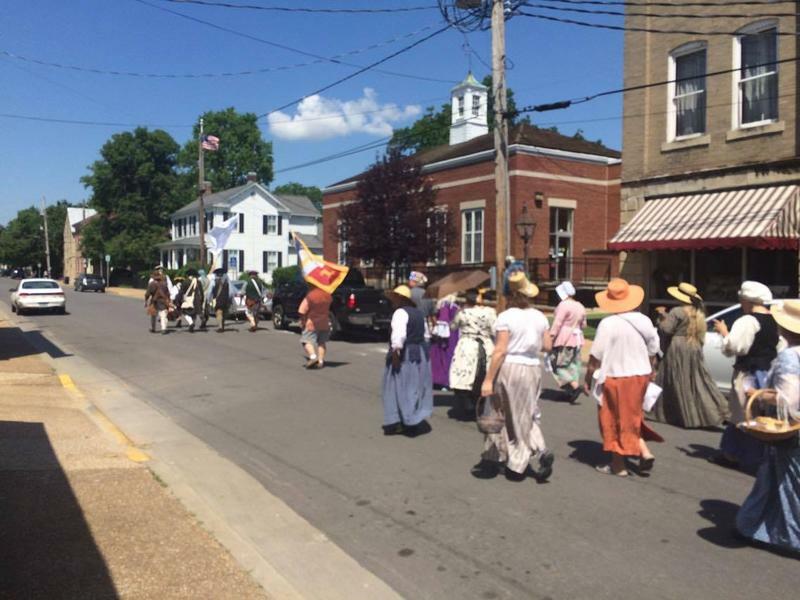 The local French singing group marched throughout the streets of historic downtown Ste. Genevieve singing traditional French songs. The quintet included from left Patti Naeger, Milly Naeger, Elizabeth Ganey, Claire Clonts and Michelle Swope. 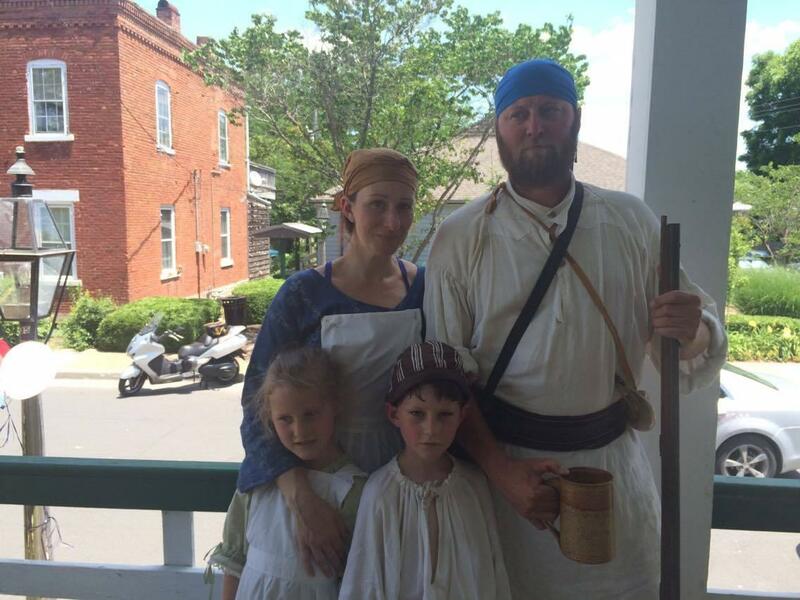 Michael Snyder, back right, and his family wore traditional French clothing in celebration of their French heritage. 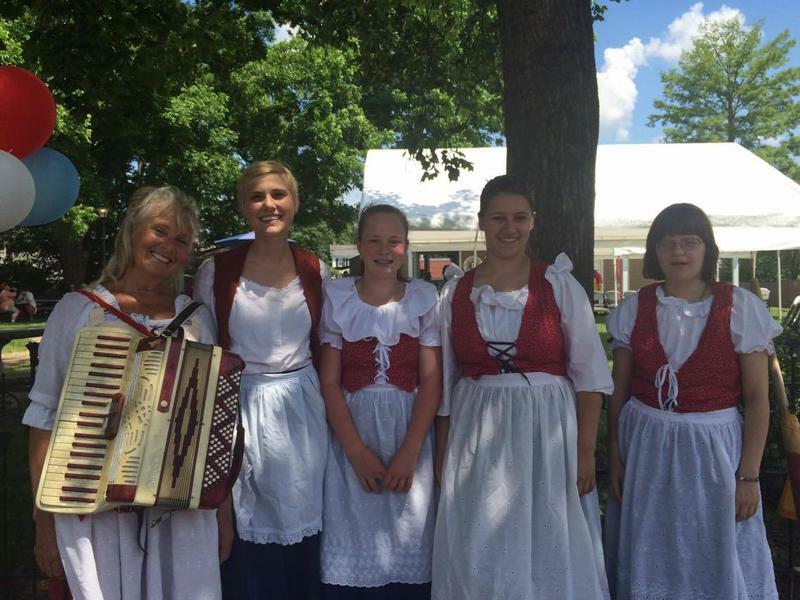 Members of the community dressed in traditional clothing to celebrate 300 years of Ste. Genevieve's French heritage. 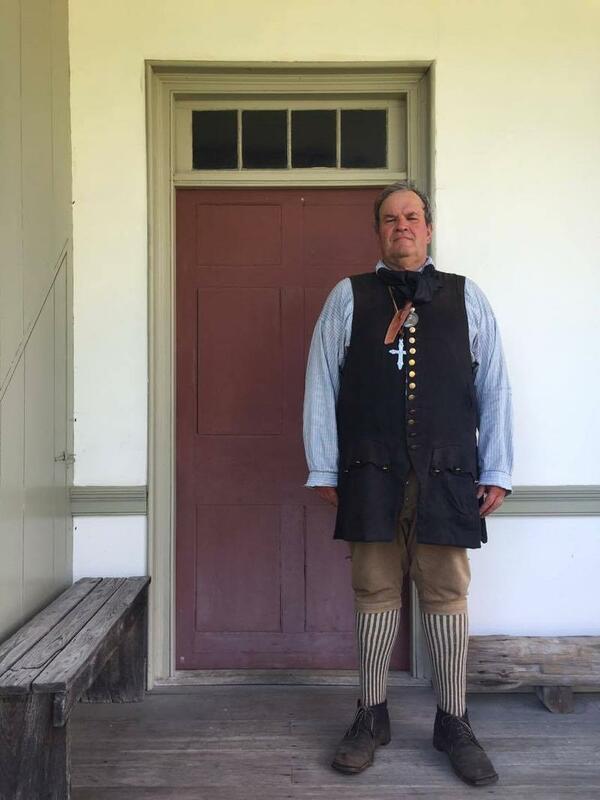 Gary Scheel is a part of the Ste. Genevieve militia. He says the group represents the French colonial militia. 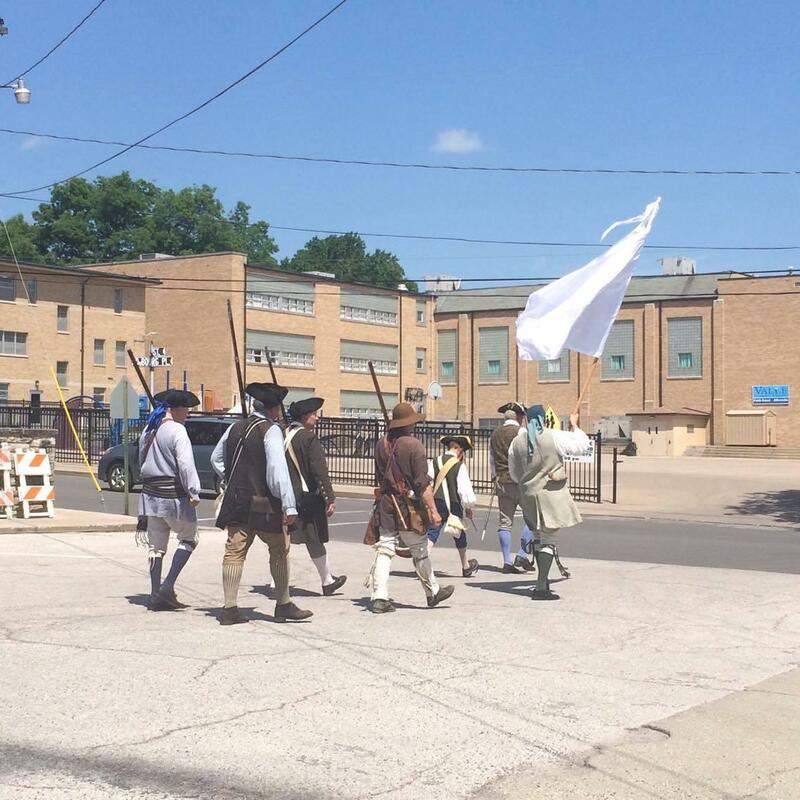 Community members walk through downtown Ste. Genevieve during the opening promenade. The Ste. 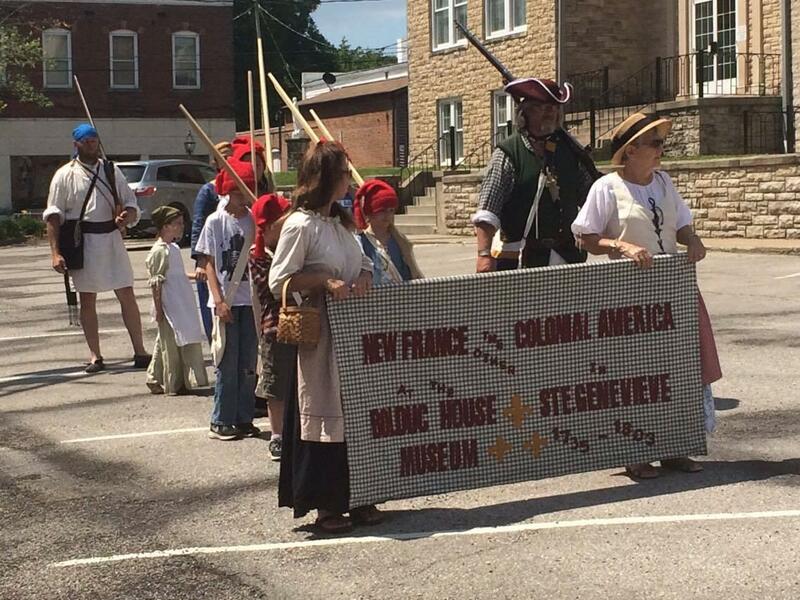 Genevieve militia wore traditional French colonial clothing as they marched throughout the streets of Ste. Genevieve. Listen to this audio postcard. Known for its historic vertical log homes, Ste. Genevieve is a cross-cultural melting pot steeped in French and German roots. And this year the community’s French heritage has hit a milestone. In a continuation of our series “Show Me Summer,” KRCU’s Marissanne Lewis-Thompson and Lindsey Grojean joined in on the fun as Ste. Genevieve celebrated 300 years of its French Heritage for this audio postcard. In the first of our series Show Me Summer we head to downtown Cape Girardeau. From the iconic Mississippi River Tales Mural on the floodwalls to the various art galleries and vintage shops, the community's downtown is loaded in diverse culture and history. For years local art galleries have come together to bring the community and art lovers alike "First Friday with the Arts." 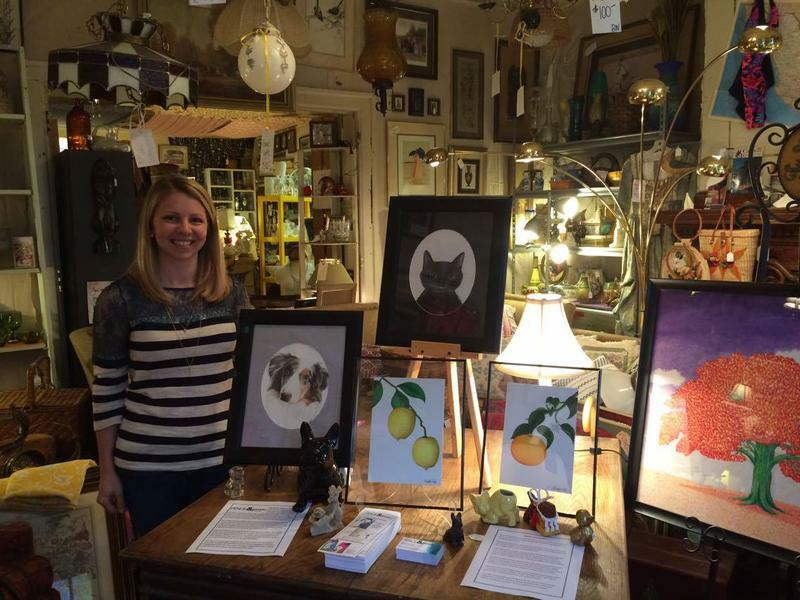 It's an eclectic art crawl dedicated to the booming arts culture in downtown Cape Girardeau.